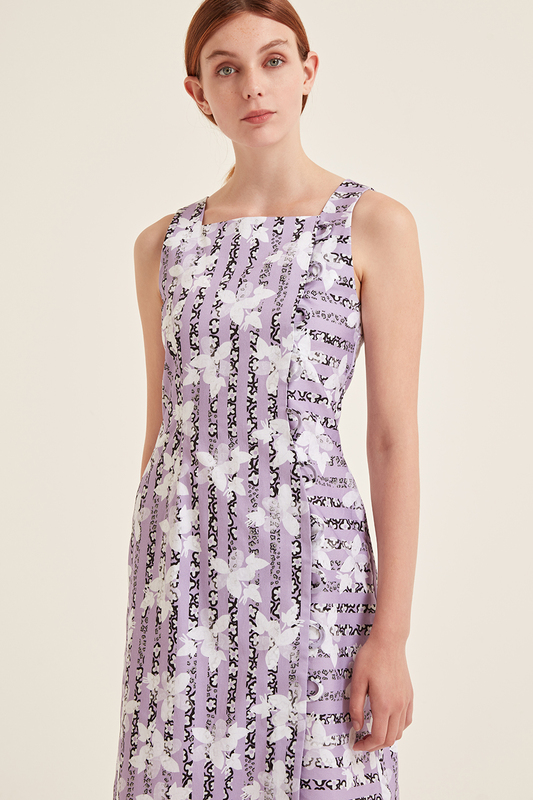 100% organic cotton Alexa Dress in vibrant lilac with an original SABINNA flowers stripes print. It’s is a cute midi dress with fake button loops on the left side. It has an invisible zip in the back. Developed and made in the UK.